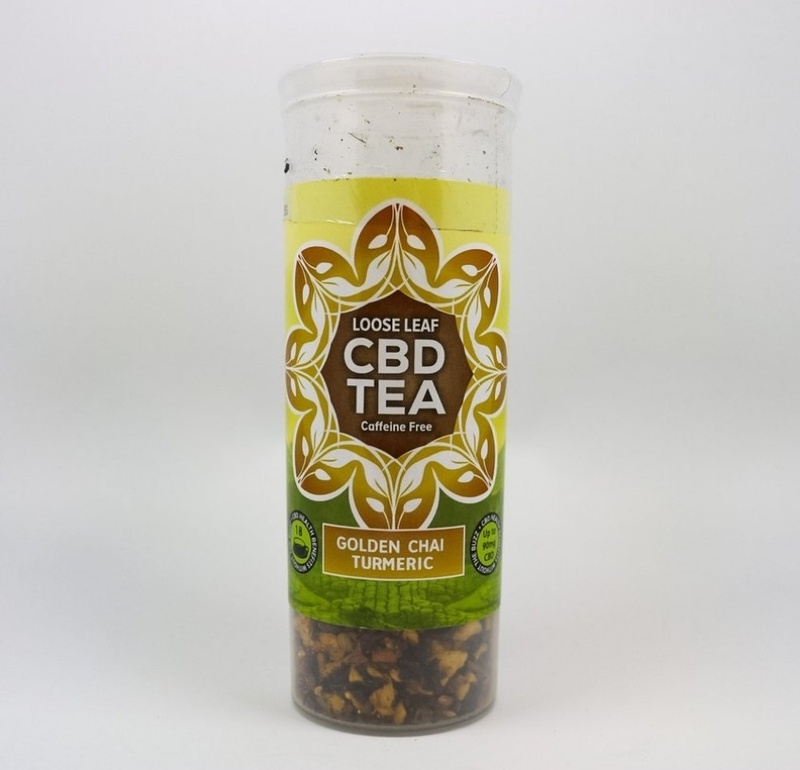 Golden Chai tea gets you cozy with a warm and velvety finish and a hint of soothing sweet cinnamon. 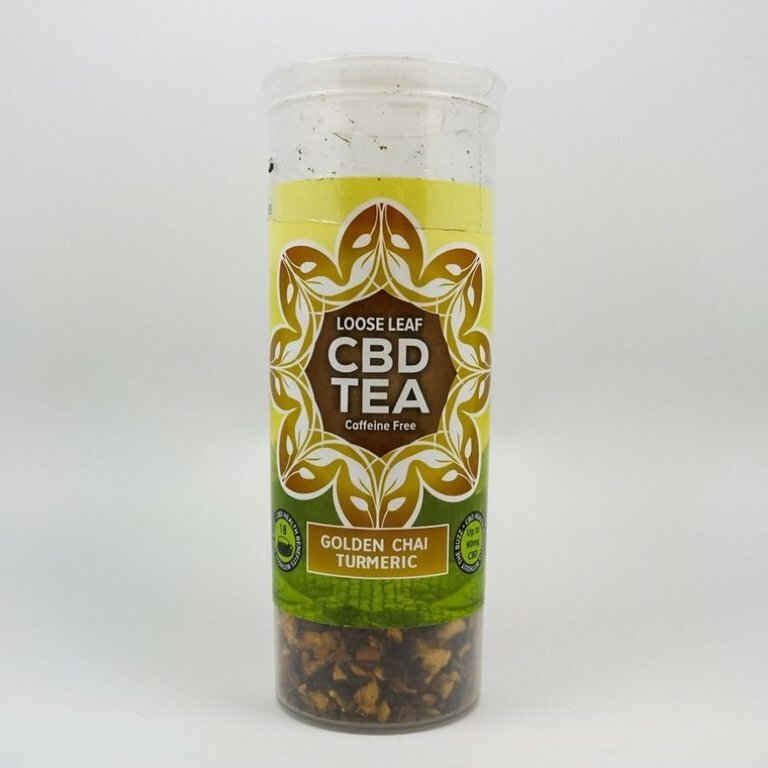 Enjoy the unique flavor of Turmeric combined with cinnamon, peppercorn and ginger to provide you a lively yet warm blend of herbal, caffeine free tea. Try either iced or hot with your choice of sweetener. 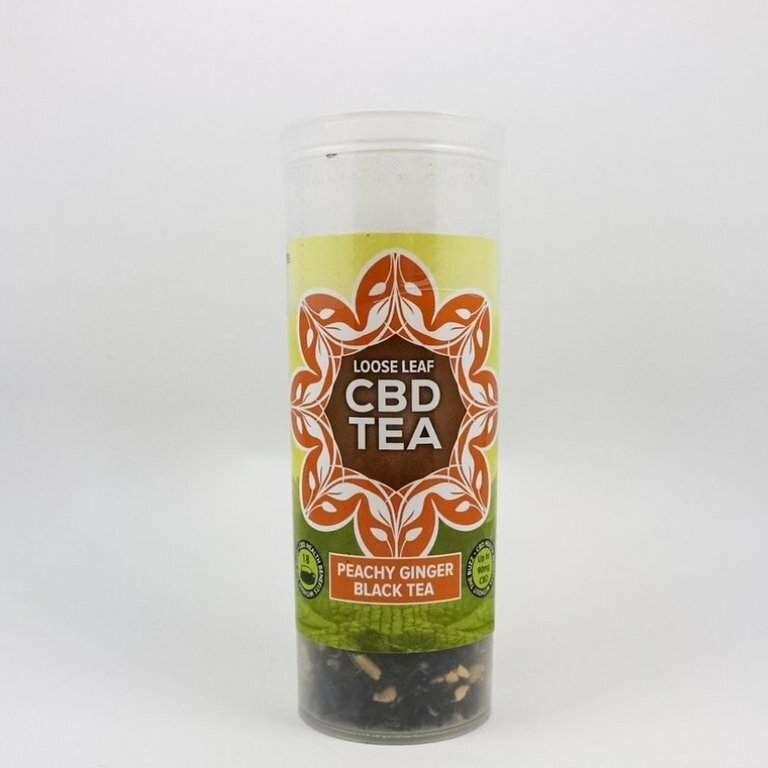 Peachy Ginger CBD Infused Black Tea awakens the flavors of bold ginger and juicy peach. Peachy Ginger CBD Infused Black Tea is made from organic Assam black tea, ginger root, Calendula flower, dried peach, peach extract, and CBD hemp oil. 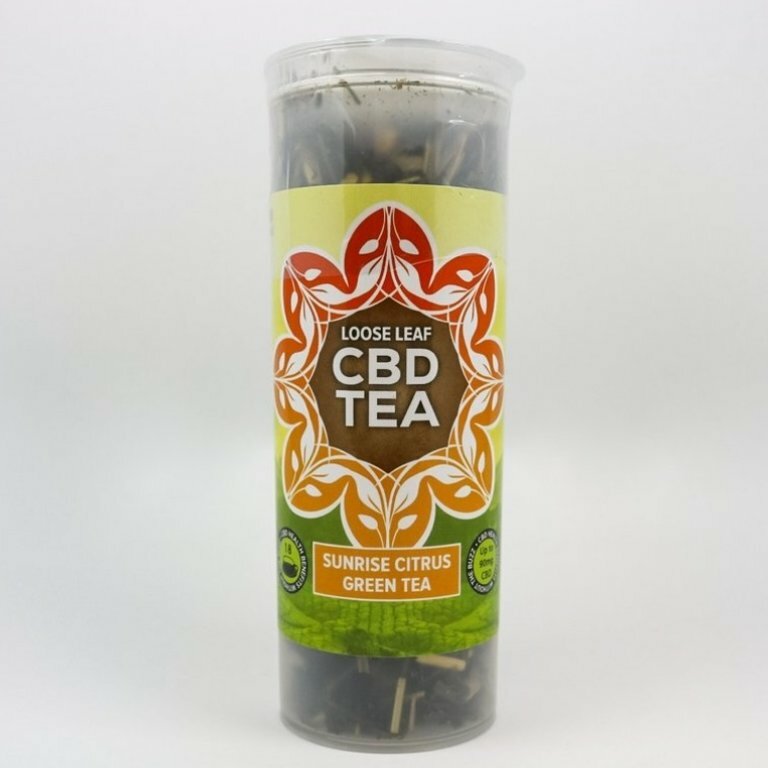 Sunrise Citrus CBD Infused Green Tea is packed with the flavors or fresh citrus fruit! 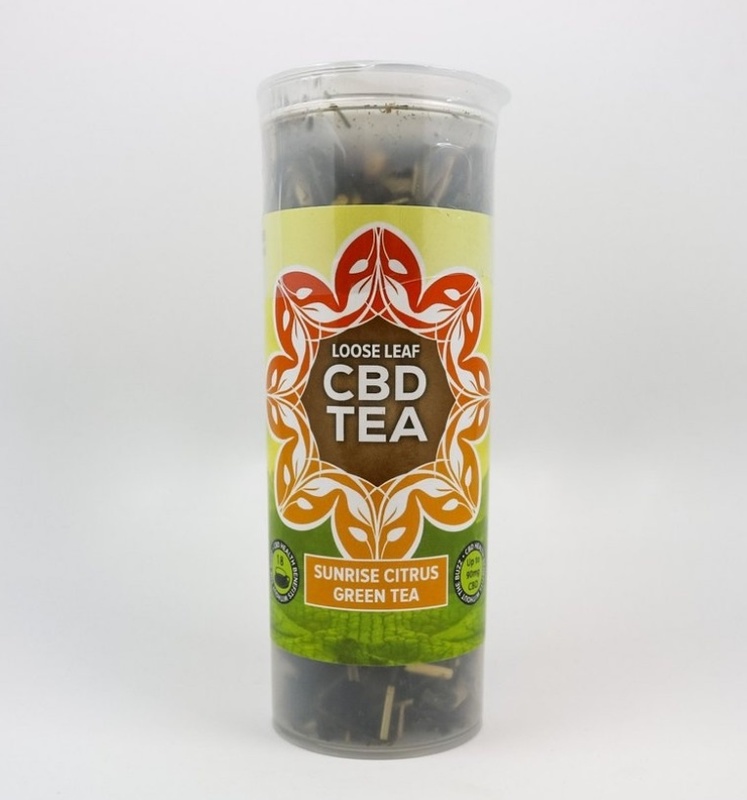 Our Sunrise Citrus CBD Infused Green Tea is made from only the best ingredients including Organic Green Tea and CBD Hemp Oil. 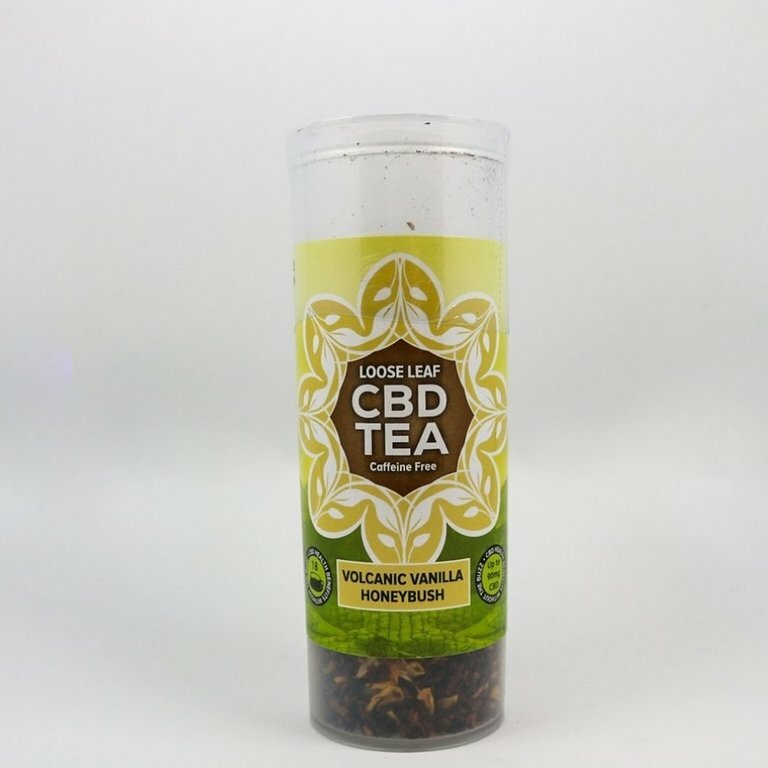 Volcanic Vanilla CBD Infused Honeybush explodes with sweet pineapple and vanilla followed by a rich earthy finish and aromatic earth tones from the CBD hemp oil. Volcanic Vanilla CBD Infused Honeybush is made from only the best ingredients including organic South African Honeybush, calendula flower, vanilla and pineapple extract and CBD Hemp Oil.